Like many of you, I�m constantly searching for information on new bass fishing techniques, digesting everything I can from any source available. With today�s endless supply of outlets, it�s possible to learn faster than ever � and discover intricate details others may have overlooked. Times have certainly changed. For those of you who never knew life without the Internet, let me assure you that the learning curve was quite different. Knowledge was shared via a handful of good magazines, or possibly on a series of VHS cassettes. It was possible to learn it all through just a couple hours of reading each month. During that time frame, the sources we relied on for information were often much like today: tournament-winning pros who proved their worth on the nation�s richest trails. However, there was occasionally another contingent of fishermen brought into the limelight for their mastery of techniques that couldn�t be ignored. Often, these teachers were briefly pros themselves, retired or settled into a productive guiding business, or simply obsessed anglers with thousands of hours on the water. In any case, we all learned, and evolved, with their help. 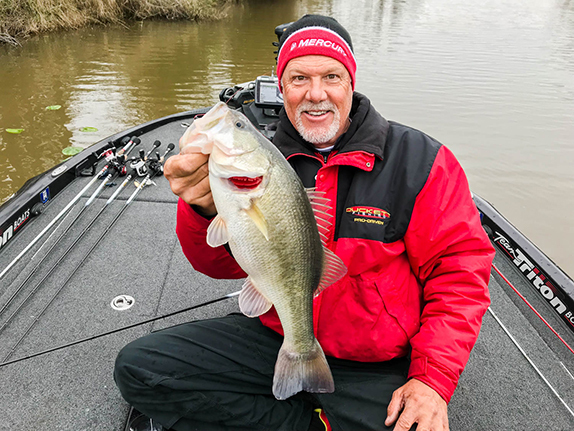 With the progression of tournament fishing, more focus has been placed on the competitive anglers and their use as the sole sources of bass fishing information. As many of you likely realize, it�s nearly impossible to read the popular bass mags without being bombarded with the accolades of their corresponding heroes. You would think no one, outside of an Elite or FLW pro, would even know how to catch a bass. In any case, the major trails and their associating periodicals help promote their athletes the best way they know how, and we really can�t blame them. But what happened to the integrity of our instructors? Now, I�m a big Ken Duke fan. But here, I must be careful to interpret his words for what they truly are. You see, the high stakes, skills and spotlight are not what develop new techniques in the world of bass fishing. They weren�t there when locals first starting cranking the stumps of the Arkansas River with square-bills, drop-shotted the deep smallmouth of the Great Lakes, or snapped a spoon intended for stripers on the ledges of Kentucky. But I think Duke knew that. Trends is the word he used, and tournament influence sure provides for that. However, perhaps media sources need to be more careful distinguishing between those who are capable of really teaching us all a new technique, and those simply interested in pushing the trend. As mentioned, Duke�s piece was written for In-Fisherman; many of you will recognize my all-time allegiance to this publication for the ability of editors to give credit where credit is due, and not be overwhelmed by the razzmatazz of tournament titles. But in today�s age of wins equaling angling ability, I�m afraid even my beloved rag may be a bit star-struck, as I�m finding fewer contributions from guys outside of the competitive circle. In any case, let�s look at a more modern example. How many of you have experimented a bit with the Ned Rig? I nearly split my pants recently when I read an article detailing how a big-named pro helped popularize the technique through his catch of tight-lipped keepers in a recent event. You see, the Ned Rig, as most of you probably recognize, was developed, tested and perfected by Ned Kehde, a master finesse angler from the Midwest whose �competitive career� consists of a handful of local events nearly 50 years ago. 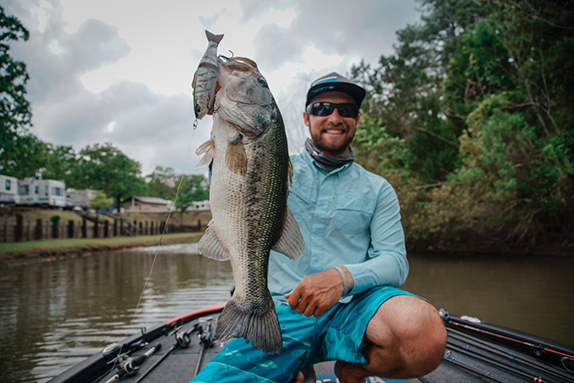 His newest creation is the result of a desire to simply catch bass anywhere and everywhere, regardless of season, weather or fishing pressure. In the end, the Ned Rig was developed to keep us all happy, not win tournaments. I often wonder where our sport is headed? 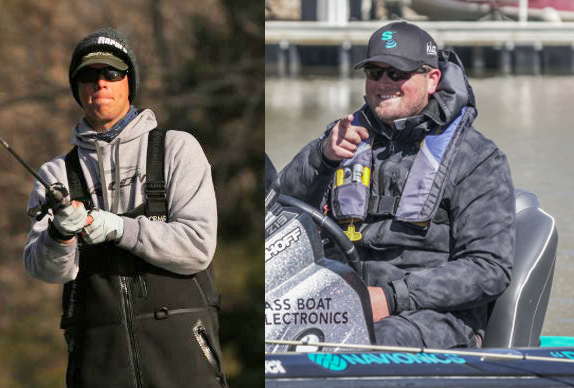 Will we solely be subjected to receive our information from an angler who catches fewer bass in a year than what a guy like Ned Kehde catches in a week? Whatever happened to the �alternative sources� that sparked the interest of so many of us, tired of the same recycled �tips�? Remember, originality drives innovation. Trends just fuel the trendy.